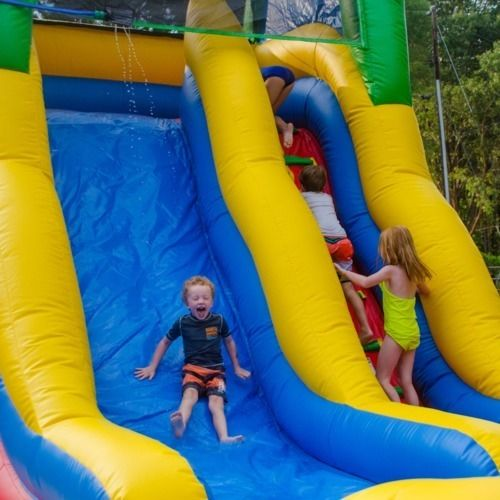 Inflatable Slides Are A Hit For Any Event Jumping For Joy is proud to offer the option of wet & dry inflatable slides for your event. 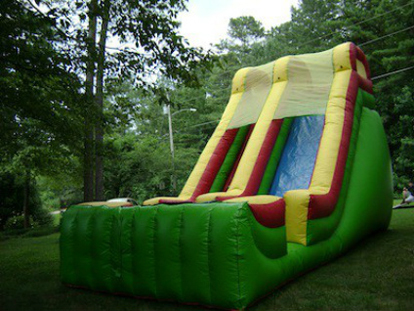 Inflatable slides are fun for all ages to include teenagers and are a perfect addition to your outside events. 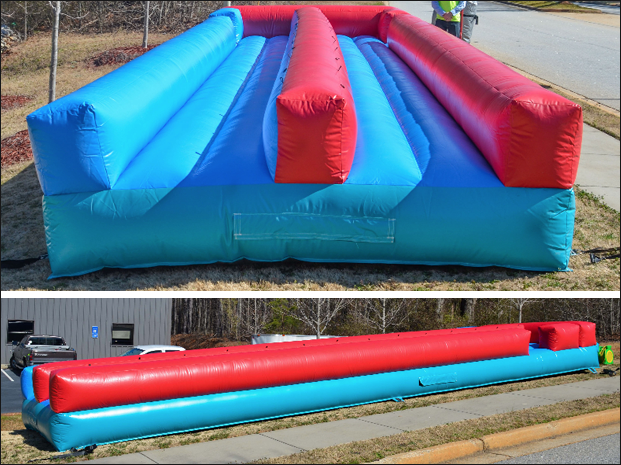 All inflatable slides include delivery & set-up within our operating area. Our slides are in high demand check for availability for our slides here. Kids climb nearly 2 stories high in the completely enclosed area. Then, they make a quick exit down the speedy, thanks to our special “slick stuff,” slide to the 8’ landing area. We have an inflatable Slip n Slide. It keeps you off the ground for a cleaner, faster, and more fun slide! Our inflatable slip n slide is great for a child's birthday party, or it can bring fun for the adults. Church events, birthday parties, corporate events! Kids can’t climb and slide fast enough as they climb the stairs to the left and then slide down to a safe landing area, protected by a “stop” wall. Perfect for large groups because you can move lots of people through quickly. Who doesn't love Slip n Slides? They're always fun and people of all ages can play for hours! Our Slip n Slide is perfect for your next summer party! Have you ever used a slip n slide that just laid on the ground? And when you slide into it, did you get grass and mud all over you? You don't have to worry about it with ours. We have an inflatable Slip n Slide. It keeps you off the ground for a cleaner, faster, and more fun slide! Our inflatable slip n slide is great for a child's birthday party, or it can bring fun for the adults. Church events, birthday parties, corporate events!